Apple CEO Tim Cook has said in an interview that the company would start manufacturing Macs in the US next year. Foxconn to expand US operations too. Apple CEO Tim Cook has said in an interview that the company would start manufacturing Macs in the US starting next year. In an interview for NBC (a fragment of which you can watch below), Cook says that the company would start making one of its Mac lines in the US starting next year. This could mean quite a bit of outsourcing from companies in the US. The interesting thing is that Foxconn, one of Apple’s main suppliers, is also set to expand its operations in the USA too. If you remember, Foxconn had some serious complaints about the way it was treating its employees, and Apple has sent the Fair Labor Association to inspect the company’s plants in China. But back to Tim Cook. 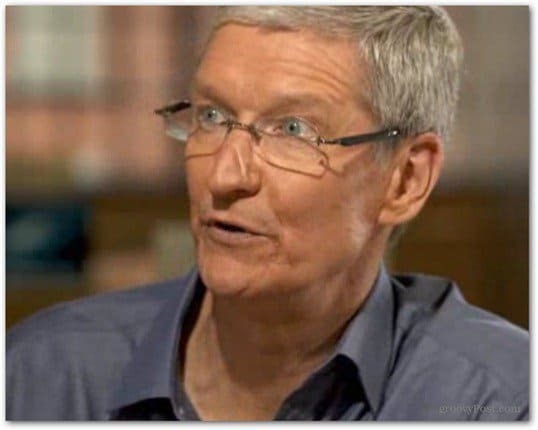 The Apple CEO made another interesting statement when he was asked how much the price of the iPhone would grow if it were to be made in the USA. The Apple CEO said that it’s not as much about price, as it is about the skills associated with manufacturing, skills that have left the US, or, even better said, should be started now, as they were never really present. When asked about Steve Jobs, Cook remembered that the late Apple CEO told him on a few occasions that he should “never question about what Steve would have done, just do what’s right”. I already have an example in mind. Remember when Steve Jobs said nobody would buy a big phone? Well, the iPhone 5 isn’t exactly small. You can watch the interview fragment below. I read an article today that it’s likely it will add about 200 new jobs in the US. Go Apple!